Having cut some strips the next step is to cut those strips into shapes, starting with squares and rectangles. From that two and a half strip we cut last time we can cut two and a half inch squares or rectangles of various lengths – the most usual with that width being four and a half inches. First trim the selvage from the strip. 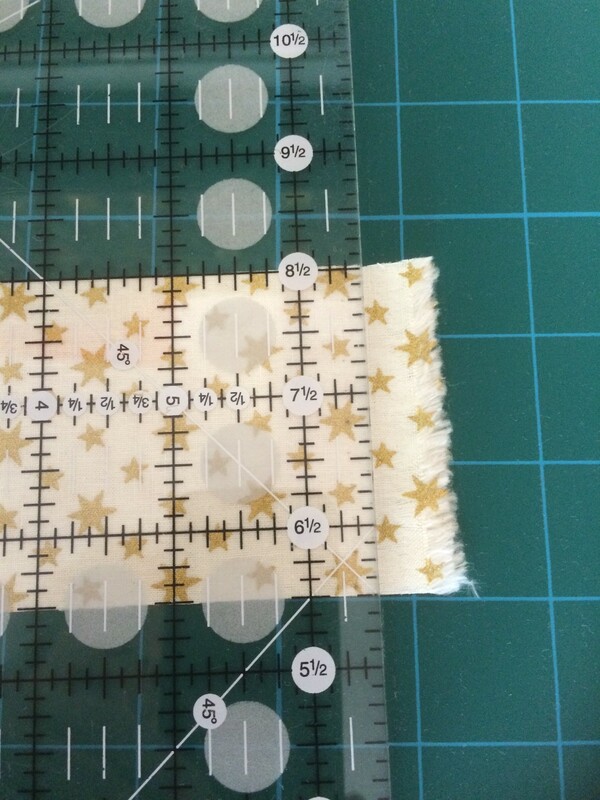 Depending on how many squares or rectangles you want to cut it may be more economical (and certainly quicker) to leave the fabric strip folded in two, or even four. 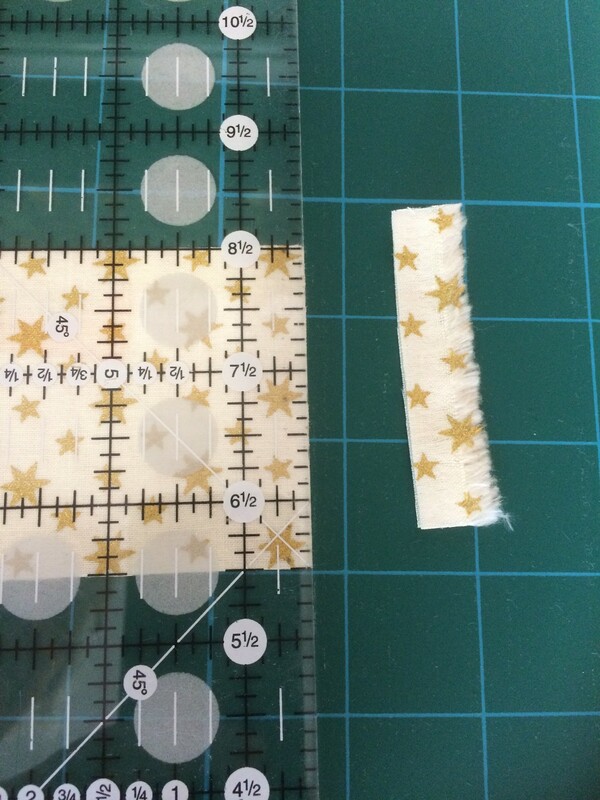 With the bulk of the fabric to the hand you hold the ruler with, line a line of the ruler up with the cut edge of the strip. Trim off the selvage and ragged edge of the fat quarter or both selvages of the width of fabric (WoF) strip. If you left the WoF strip folded in four then you will cut through the centre fold as well. What you do with these trimmings is up to you – throw them away or save them for ‘leaders and enders’. Now turn the mat around (or very carefully turn the strip) so the bulk of the fabric is to the hand you cut with. Use the ruler to measure a two and a half inch square and cut – remember to remove the guard only when cutting and replace it as soon as the cut is made. (You will often hear our students muttering “guard off; cut; guard on; guard off; cut; guard on . . .” as they work). Gently move the cut squares a little, measure again and cut the next set of squares. 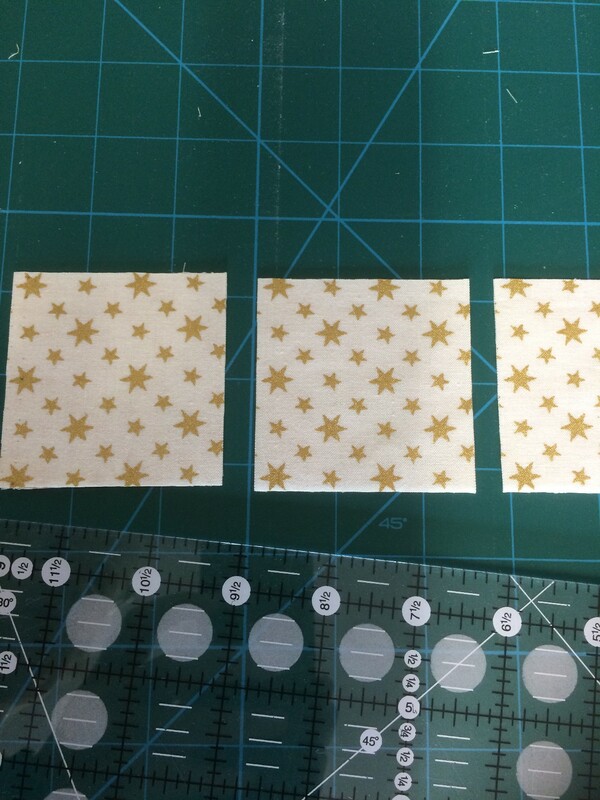 Keep going until you have all the squares you need, remember you will be cutting at least two squares each time. 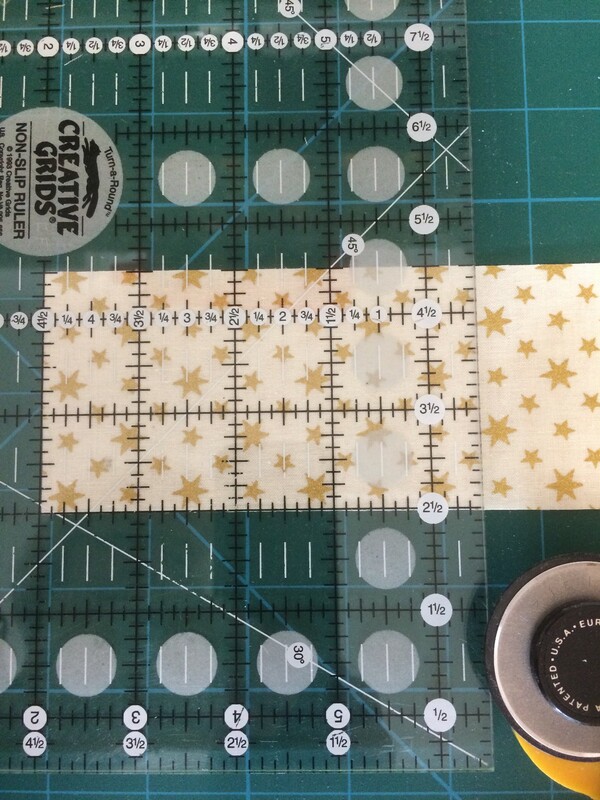 (you can see in the photo above the slight discrepancy in rulers – the strip was cut with one ruler and a different one is being used to cut the square). Rectangles are cut in the same way – just measure a longer length. If you need to cut a really long rectangle – longer than the width of the ruler – don’t forget you can turn the ruler round and measure along its length. For really big pieces you can use the mat for measuring. 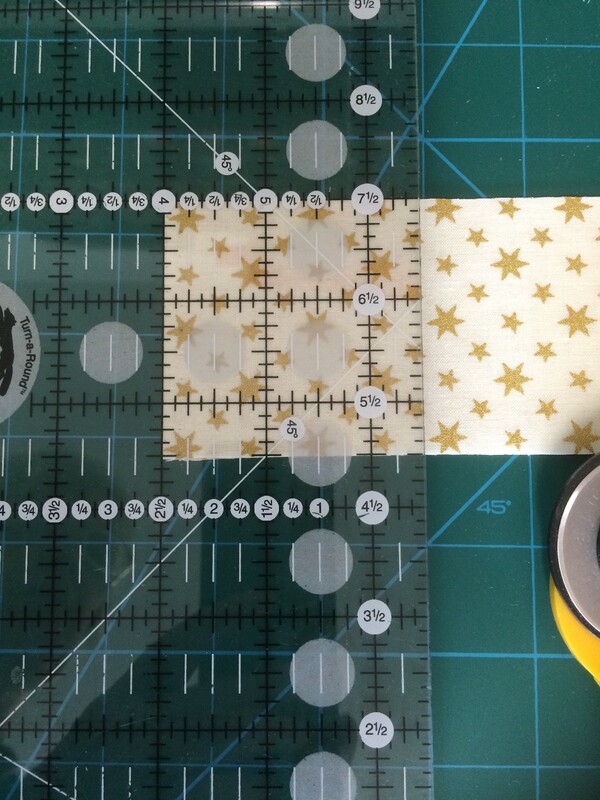 You can find a tutorial for using your strips and squares to make 4-patch and 9-patch units and also some instructions for blocks using these units on our sister blog Meadowside Designs.